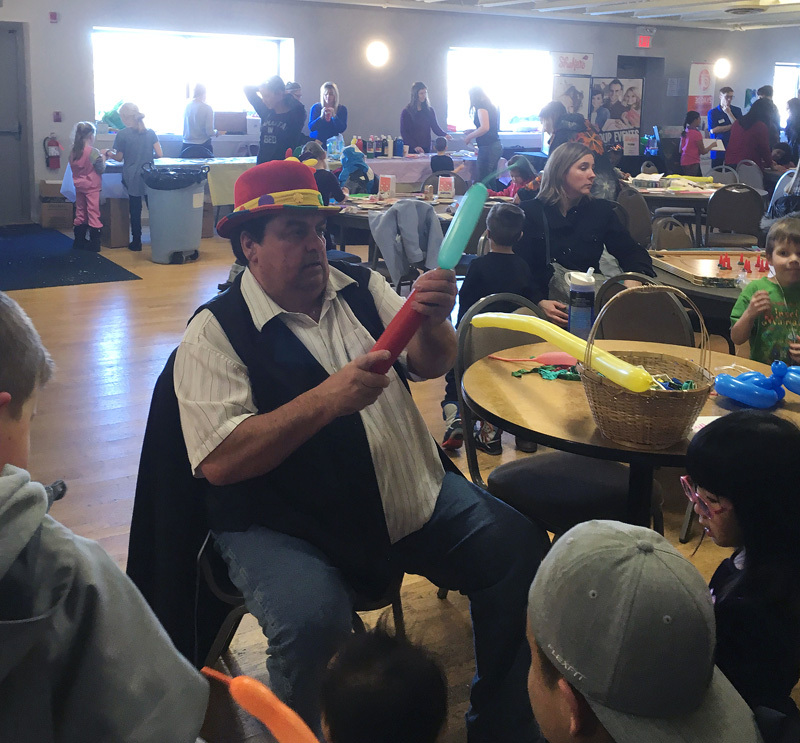 New families in Chestermere have the opportunity to see everything that the community has to offer during the annual Energizer Night at the Chestermere Regional Community Association. On Sept. 12 from 6 p.m. until 8 p.m. in the main hall of the Rec Centre over 50 clubs, services, and not-for-profit organizations will have tables set up to discuss the programs and activities offered throughout the year. “I Pegged [Energizer Night] as an opportunity for clubs and organizations to share information and take registration for upcoming programs and services in Chestermere and the surrounding area,” said Chestermere Recreation Program Coordinator Vicki Klinger. Organizations, services, and not-for-profits that will be in attendance for Energizer Night include Chiefs Football, the Chestermere Rotary Club, the White Cappers, new businesses in the city that have new fitness programs beginning, and non-traditional activities including crafts to get youths creativity thriving. Energizer Night has been a crucial community event for Chestermere residents for approximately 20 years, Klinger added, there are programs and activities offered for all ages, from small children to senior citizens. “Energizer Night is a really good overview, whether people are new to the city, especially if people are new, it’s really good to see everything that’s going on,” Klinger added the Energizer Night is a great way for residents to get plugged into their community. “I always say there’s three things that people look for when they move to a community, one being what the school is like for their children, the second being what’s available for health care, and the third being what is there to do in the community,” Klinger said. She added, this year the Chestermere Rec Centre has a variety of options for different activities, and programs for families that many residents don’t know about, including swimming lessons at the Best Western Hotel. “We had over 150 kids sign up for swimming lessons, and we could only have five kids in a swimming class. There were over 50 classes going on,” Klinger added, “In the Spring we began offering swimming programs for adults and for special needs children ages three to 12. “We’re also really looking into offering more drop-in classes for teens, which can be good because parents aren’t always available to drive a child every Wednesday night for a 10-week program. For Klinger it’s important to get the youth in the community involved as much as possible, whether in after-school programs or volunteer opportunities. “Anything that will connect people to different groups in the community, keep youth active and involved, keep them healthy physically, and emotionally are important aspects,” she said. Previous Energizer Nights have gone fantastic, Klinger added, with an average of 200 to 300 families coming out to see what’s going on in their community. “It’s always hard to find out everything that’s going on, so this is the best way. Not only do you get to know about a program, but you get to meet the people who are running the program and get more details rather than just reading about it,” Klinger said. The Energizer Night is free to attend, and there is also an offered area for children to play while parents checking things out. Table spaces are still available until Sept. 7 and cost $25 for business and are free for not-for-profit organizations. For any inquiries please email Vicki Klinger at recreation@chestermereca.com.